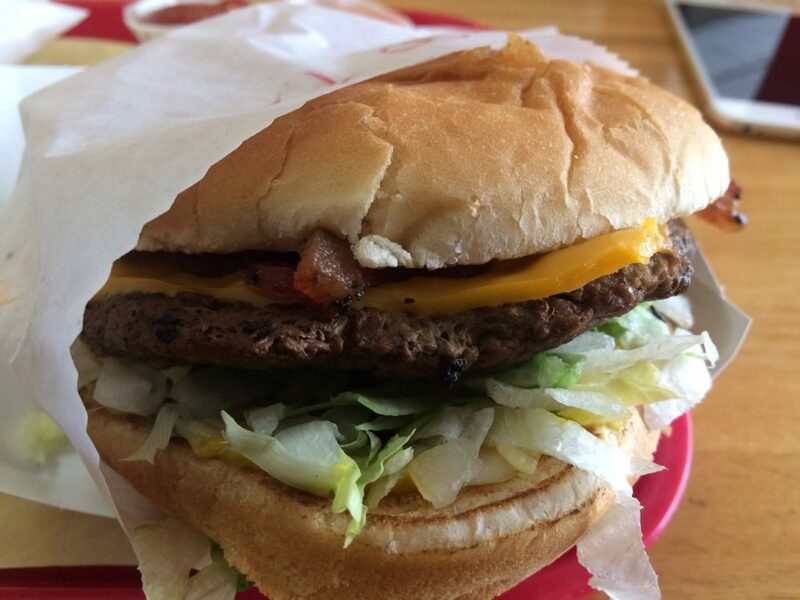 If you haven’t figured out by now, I enjoy a good hamburger. More importantly, I enjoy letting people know where you can find a good tasting burger. Burger Ranch in Pasco is just that place. The Ranch Burger with Bacon & Ham was very delicious. It had everything you would want to find on a burger from a solid fast-food restaurant. A single burger patty that had cheese, bacon, and ham resting on top of it. The ham was grilled and the bacon was cooked perfectly. There were no veggies to get in the way, just pure carnivorous pleasure. Burger Ranch let me enjoy their onion rings and fries so I was in hog heaven. How could anyone go wrong with crispy crinkle-cut fries and some of the best onion rings in town? A darn good huckleberry milkshake if there ever was one. Burger Ranch uses high quality ice cream for all of their milkshakes that you won’t find other restaurants using. This shake was absolutely delicious. So, if you’re in Burger Ranch’s neck of the woods in Pasco (or even if you’re not), be sure to head in there for a great burger, great fries, and onion rings, and an owner who truly enjoys putting out delicious food. You will not be disappointed.